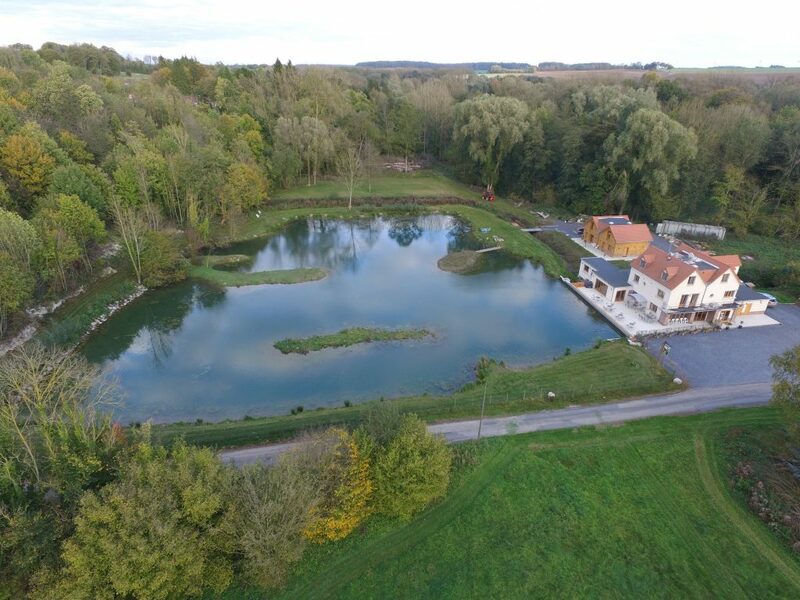 La Cascade has been carefully and extensively refurbished and extended to create a high-quality restaurant, bar, fly fishery and well being and relaxation retreat with 5 double B&B bedrooms and a self contained gite. A seminar room is also available for corporate events. 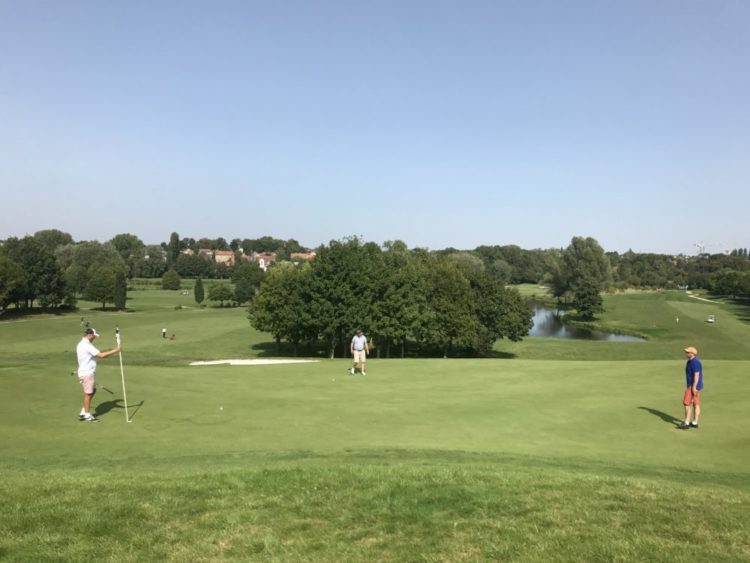 Set in the secluded and peaceful Canche Valley in Northern France, we are only 75 minutes from Calais, ideal for a midweek or weekend break. The small market towns of Avesnes-Le-Comte, Saint-Pol-Sur-Ternoise and Frevent are within easy reach. The beautiful city of Arras is a 30 minutes drive, Louvre Lens 35 minutes, Amiens 40 minutes, and Lille and Le Touquet 50 minutes. We are also close to many WWI sites including Thiepval and Vimy ridge. 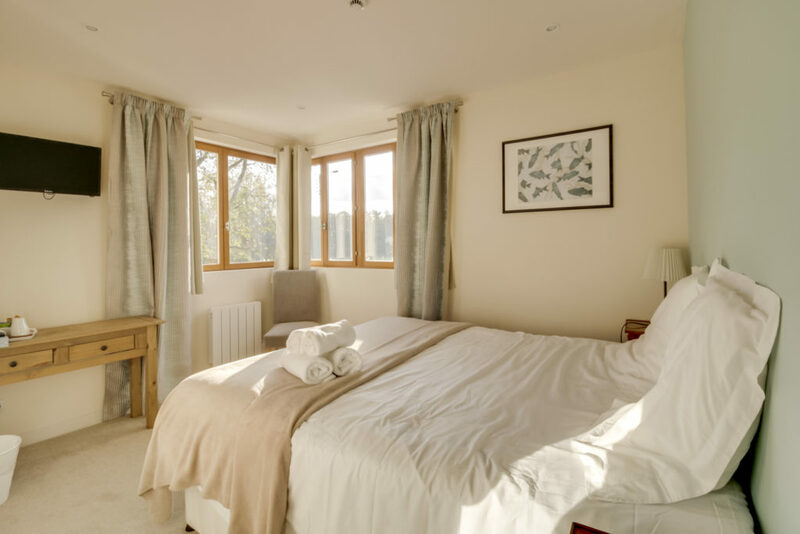 There are 4 refurbished and comfortable en-suite double bedrooms on the First Floor. Twin beds can also be arranged. The Ground Floor bedroom is suitable for wheelchair users where a double or twin bed can be arranged. There is a gite which can accommodate up to 4 adults. Coffee, tea, biscuits and TV (French and English, terrestrial and sky) are provided in all our rooms. Continental breakfast included with all bedrooms. Overlooking the lake and terrace, our refurbished and spacious restaurant provides a relaxing and comfortable atmosphere. The menu changes regularly according to the season. Our chef uses fresh and local produce, our specialty being fresh rainbow trout from our lake. The restaurant adjoins our large terrace where meals can be eaten “Al Fresco” in good weather. 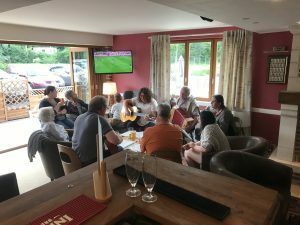 The restaurant can also cater for private groups. Contact us for more information. Our cozy and comfortable bar area is available for an aperitif prior to your meal or for a convivial drink with family and friends. In good weather, drinks can be taken out on the large terrace next to our lake. In the colder months, keep yourself warm by our large wood burning fire. 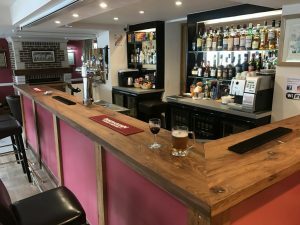 We offer a large selection of Draft and Bottled Beers, wine and spirits as well as fresh and hot beverages and an assortment of nibbles to enjoy. La Cascade has a lot to offer. 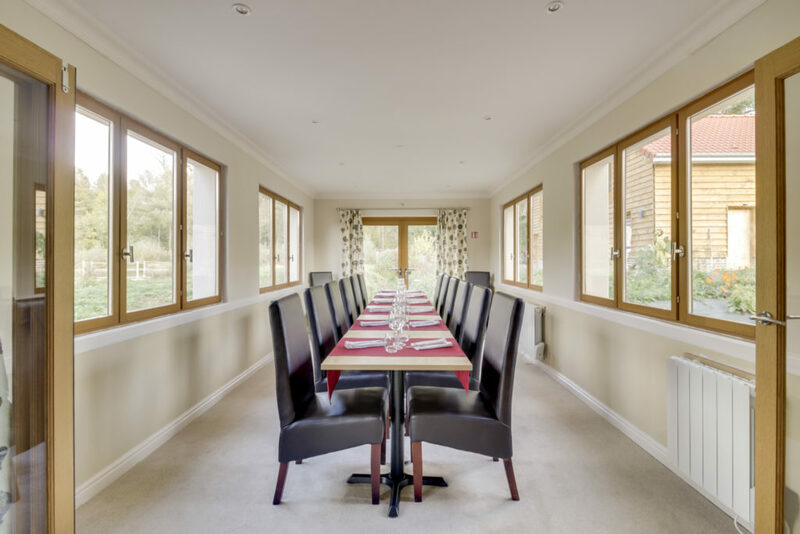 From the tranquil setting to bed and beautiful breakfast, to lunch and evening meals cooked to a high restaurant standard. 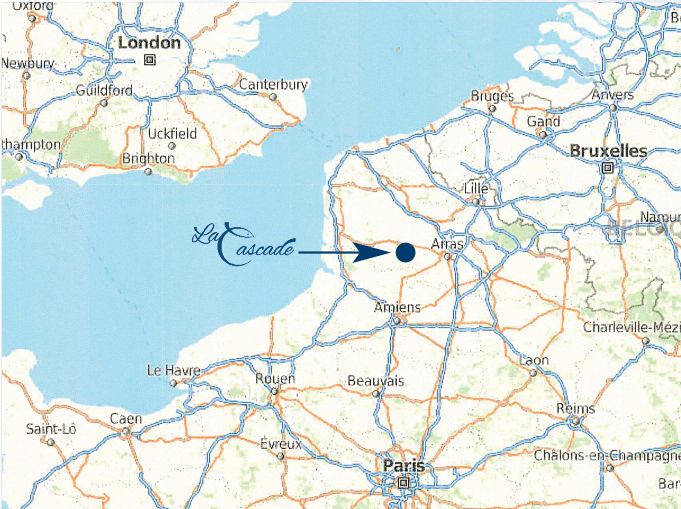 It's over an hours drive from Calais, the location is great for fishing, cycling, walking or simply recharging. I loved it. Excellent. The food was great and the waiter charming. The bar has up to date copies of English Rugby magazines! Looking out over the lake was lovely and the bar/restaurant is very modern and clean. The loos were great too... love the wallpaper. Would definitely recommend. What a great place to go for a weekend getaway from Paris! Amazing food, the pricing was so reasonable and it felt like home away from home! The newly established lake covers 1.5 acres and is stocked with rainbow and some brown trout from 2 lbs to doubles. Fishing is by fly only. The lake, stocked with trout, is a focal point of La Cascade. Want to learn how to fly fish? or interested in perfecting your technique? With our recently renovated barn retreat that can be used for various indoor activities (yoga, arts and crafts, etc…) and being in the heart of the French countryside, surrounded by many cycling and walking paths, we also offer a wide range of on site leisure activities. Helicopter ride – enjoy a tour of the Northern French countryside in a helicopter ride with our professional partner Greg Helico and experience the luxury of being picked up and dropped off outside La Cascade. Walking – trek around the French countryside, several routes departing from La Cascade. Cycling / Mountain Biking – Cycle or Mountain Bike around the French countryside, several routes departing from La Cascade. Canoeing – Depart from La Cascade down La Canche river that runs alongside our complex. 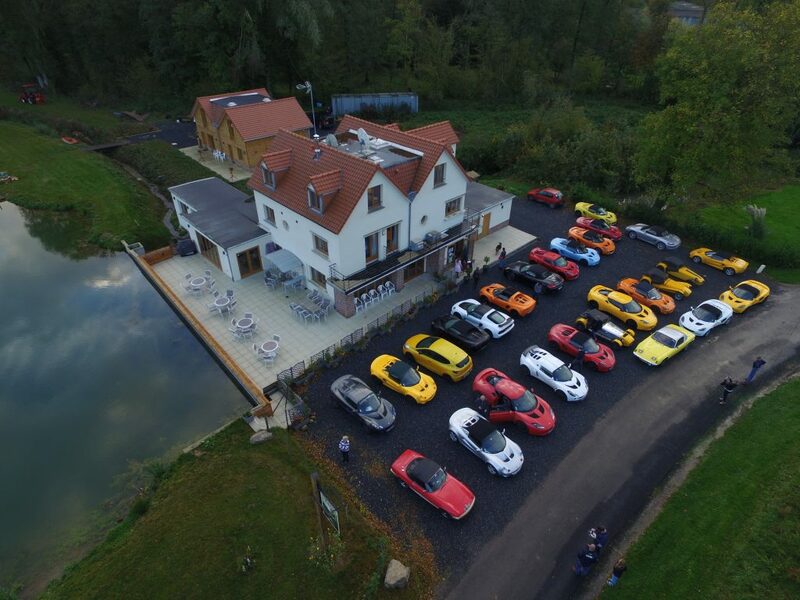 Car/Motorbike Rallies – Depart from La Cascade, several routes departing from La Cascade. For bookings or inquiries about our rooms, the restaurant, the lake, the seminar room or for any other questions, please use the contact options below. You can use the online form as well.